Have you ever wondered what it takes to get an article published? Have you thought about writing but weren’t sure where to start? There is enormous interest in producing scholarship, but many of us struggle with making time, developing topics, and staying motivated. This webinar will feature a panel of editors from five major law library publications, who will demystify the writing and publication process by providing insight into what makes a good article, what the editors look for when they review submissions, and how to build collaborative relationships with your editors. The panelists will discuss the unique attributes of different publications and help authors think strategically about publication avenues. They will also share tips for writing and producing scholarship, trends, and areas in need of more research and exploration. Kristina L. Niedringhaus is Associate Dean for Library and Information Services and Professor at Georgia State University College of Law Library. Kris was appointed as Editorial Director of AALL Spectrum in June 2016. She writes and speaks on topics related to law library administration, legal research, technology, and ethical issues related to legal research and the use of technology. Kris currently serves as the President of SEAALL and Vice-President of the CALI Board of Directors. Mike Chiorazzi Prior to joining the University of Miami, Dean Chiorazzi was associate Dean and James & Beverly Professor of Law at the James E. Rogers College of Law from 1996-2018. He began his career as a reference librarian and senior instructor in legal research at Duke University School of Law (1981 - 1989). Subsequently, he served as the deputy director of the Law Library and legal research instructor at the Boston College School of Law (1989 - 1996). Since 1999 he has served as the editor of Legal Reference Services Quarterly. Susan Nevelow Mart is the Director of the Law Library at the University of Colorado Law School in Boulder. Since 2012, she has hosted the annual Boulder Conference of Legal Information: Scholarship and Teaching, a gathering of law librarians who meet to critique scholarly works-in-progress and develop a pedagogy of legal research instruction. In 2015, Professor Mart established the Legal Information Review, law librarianship’s only blind, peer-reviewed journal, published annually by the William S. Hein, which accepts articles of any type, in any format, on pedagogy, information policy, information retrieval, access to information, and practice issues. Tom Gaylord is the Faculty Services & Scholarly Communications Librarian at Northwestern University Pritzker School of Law, and the incoming editor of Law Library Journal. Prior to joining Northwestern in 2014, Tom was a Senior Reference Librarian at Chicago-Kent College of Law. He has been a member of AALL since 2002. Professor James B. Levy teaches legal research and writing at Nova Southeastern University Shepard Broad College of Law. He is the current Editor-in-Chief of Perspectives: Teaching Legal Research and Writing (a Thomson Reuters publication) and was previously EIC of The Journal of the Legal Writing Institute. 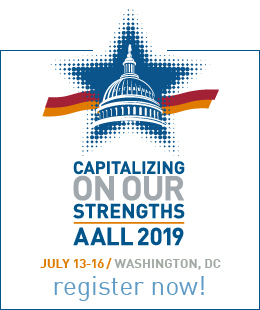 He is also the founder and editor of the Legal Skills Prof Blog, a former Chair of the AALS Section on Teaching Methods and former board member of the Legal Writing Institute. He has published several articles on law school teaching and LRW pedagogy. 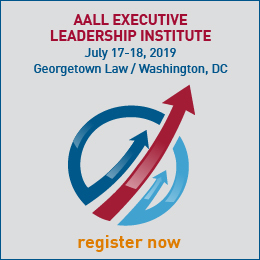 Dr. Michele A. L. Villagran is an accomplished educator, innovative speaker, entrepreneur, consultant, cultural intelligence and diversity & inclusion expert with over 24+ years of experience in the public and private sectors. She is an Assistant Professor with San Jose State University School of Information. Dr. Villagran’s research focuses on cultural diversity and social justice in library and information science and cultural intelligence phenomena within libraries.